I have had a very long standing relationship with this company - about 15 years! Their product line is vast, spanning over 60 domains with essentially eight sites in varying languages. The design for this particular site was developed by their marketing firm. The site is nearly 100% dynamically driven using a custom CMS that lets 3A Composites define their products and add news articles and projects at will. It has a wordpress component making article updates and associations simple. Make sure to visit this site with your tablet or phone and see the mobile version that has become very popular with salesmen and customers. 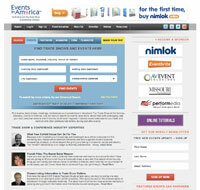 EIA is an on-line Trade Show and Industry Event database. The site is multimedia rich with paid memberships and paid advertisers/sponsors. The team at Events In America works hard every day to keep the data updated using a 100% custom Content Management System. While the design and functions of the public side of EIA has changed several times since I have worked with them, the administrative site remains 100% functional and dependable year after year. “ I've worked with Scott at Eleven Twenty-Seven Web for many years and he's been instrumental in helping me build EventsInAmerica.com into a leading platform for the trade show and conference industry. Scott has the ability to see the big picture. He listens well. He executes well. And his pricing is at or below industry levels. I've worked with several web developers in my career, but Scott is the only one of that group I continue to work with. I trust him....and he delivers. I also own a retail store (see below). In our retail store, I have lots of things to say to my staff like new policies or new product information or even "when customer Mary Jones calls back, make sure to tell her we found her glasses". We used to use those pink "while you were out notes" to pass on messages - what a mess! We couldn't keep track of who saw which notes and every time, after Steve picked up his glasses, the note stayed on the pile of notes to read... I needed a solution! Then I invented our memo system called Crew-Zen. With Crew-Zen, we have a single site where my employees log in to see the latest memos, who wrote them, who read them, and any follow-up comments. When I started using this years ago, I needed to make sure every team member logged in every shift so I added the time card system to Crew Zen. Now every shift when team members punch in or out , they read their memos. I added features such as a team member list, a company handbook, scheduling, reminders, and more. After 8+ years of using Crew Zen at The Teachers' Lounge, I've decided to make my solution public and share it with other business owners. If you see features you don't need, don't worry, you can customize Crew-Zen to do what you want by turning features off. When Captain Creative approached Eleven Twenty-Seven Web to do an e-commerce site, the original product line was only a few dozen products. 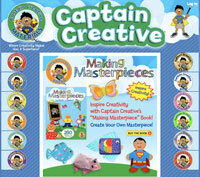 Because of the 100% custom CMS (content management system) we built, Captain Creative has built his site to have hundreds of products in dozens of categories. “ I want to thank you for a Great Job! I'm very pleased with my website it is exactly what I wanted. You took exactly what was in my head and transformed my ideas into reality all within the time frame that I needed it done by. This retail store is actually another business owned by Scott Gurley. The site features secure on-line purchases of over 40,000 items. Coming soon: faceted search and speedier response times. One thing to notice is the blog - it is a Wordpress site with fully customized theme tagged onto the main site. “ Scott's unique ability to interface in-store systems with on-line systems has helped our store maximize ROI and realize growing profits. His ability to visualize the big picture has helped us provide great customer service to our raving fans. 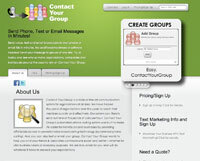 Contact Your Group provides phone, text and email messaging to your group - from 3 to 3,000,000, this site can handle it! The front-end of the site is a wordpress wrapper (allowing Contact Your Group to easily change the site as needed). Once the user logs in, they see a site which mimics the Wordpress site but is 100% custom programmed. Visitors can add/remove/edit contacts and send text/voicemail/email with a few clicks. They can have groups and selectively choose who gets each message. The system includes an administrative site where John can manage accounts as well as a 'Large Accounts' site which is built to handle LARGE groups with 10,000 or more contacts. W.D. Quinn Saw Co. Professional industrial saw blade sharpening and sales. Queen of All Saints Parish site built with Drupal with multiple levels of access for dozens of different users. Hoffmeister Barrelworks Cooperage located in Ste. Genevieve, MO. This very simple site uses a customized Wordpress theme to keep costs down. Faster More than just a retail bike shop located in Phoenix, AZ, this shop has a wind tunnel, custom fitting and more! Faster Cycling Festival While the above site is a Wordpress site, I stole the look and feel for this tiny site to promote a local cycling festival. Graphic Display Part of the 3A Composites family of sites. 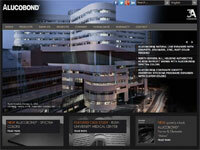 Look for a major redesign of this site in late 2013. 3A Composites Part of the 3A Composites family of sites. With their permission, I used the design of this site for mine! Family Matrix Use this site to make a matrix of your family names and have it printed on a mug or shirt! Mary McClellan Family Dentistry An early responsive design. North American Potbellied Pig Association This site is a Wordpress site done for a not-for-profit.